When buying a camera, it is important to understand what you will be using it for, and that will determine which camera will fit you best. There are many levels of cameras, and the saying "you get what you pay for" is a basic truth with cameras. If you want only casual snapshots to post on Facebook, you might be okay just using your phone. It is when you want to move up to more detailed photography that you need to start thinking about getting a "real" camera. There are two types of cameras (beyond a phone) to choose from. One is the simple "point and shoot," and the other is a digital single lens reflex (DSLR), which is what serious amateurs and professionals use. A point and shoot, as the name implies, means everything is pre-set, so you just point the camera at what you want and push the shutter release to take the picture. There have been great advances in photography in recent years, and some of these cameras are really very good. Most of them now have built-in zoom lenses, and there are some settings you can tinker with. A point and shoot is great for someone who has never taken pictures to get a taste for the hobby. These are also good for casual photographers who want something better than a phone and don't necessarily need professional quality. These are also great for learning basics like composing a photograph. You can get a good point and shoot for less than $200. The DSLR is a digital single lens reflex camera, which is the basic professional camera, and where you start getting into expensive equipment. These cameras have separate lenses, and you will need two or three in your bag. The lens is really more important than the camera itself. 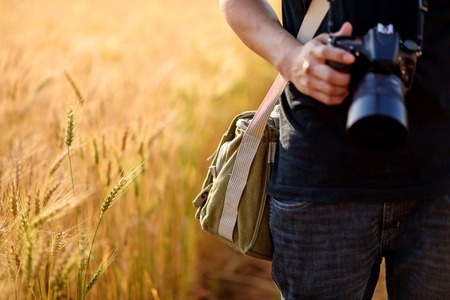 In general it is a good idea to spend as much or more on the lens than on the camera itself. There are different levels of DSLR cameras, but a good solid beginner-level camera costs around $400, and you should plan to spend that much on the lens as well. If you are a beginner, it is best to start at this level. Lenses and other accessories are not interchangeable, so keep in mind you will need to buy accessories for that brand only. The debate rages on whether Nikon or Canon is best; these are called the "big two." Nikon was developed by photographers, and Canon was developed by engineers. Generally, Nikon is more intuitive and easier to learn. Canon is a bit less expensive and has more lenses and gadgets available. There is a lot to be said for buying from a local camera store. It will cost more, but you will get good solid advice and help as you start your hobby. You can get a better price online, but be careful. Avoid any deals that are too good to be true. A used camera can also be an option, but buying used electronics is always a risk.